Hackers have become smarter and better organized, developing more complex ways to attack businesses and evade detection. Unlike large companies, with in-house technical expertise and sophisticated security infrastructure, small businesses may not be able to survive a cyber attack, with nearly 60% of businesses closing within six months of a hack. Understanding what these attacks look like, how they behave, the data they are after and how you can defend against them may be the key to keeping your business, employees and customers safe. This webinar will provide you with guidance on the steps to take to ensure you are protected from all angles of cyber crime. Download the 10 Step Security Checklist to help you focus on the most vulnerable areas of your digital business. As Director of SMB Product and Solutions Marketing at McAfee, Monica is responsible for driving McAfee’s SMB communications, establishing a strategic marketing direction, and optimizing the development of business plans and product positioning. 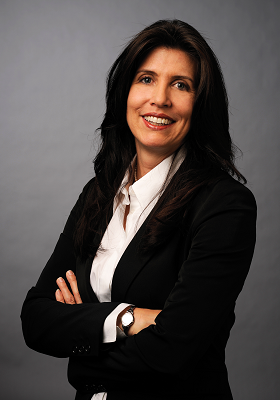 Monica also acts as global product, market, and customer expert and evangelist for McAfee SMB solutions.